Hello Kitty Cookie Cutter and Cake Mold | A Savings WOW! 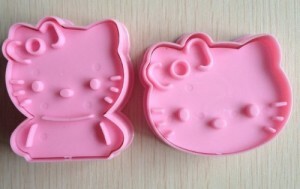 Here’s a cute Hello Kitty Cookie Cutter and Cake Mold on Amazon.com for only $1.99 with free shipping right now! As with all Amazon.com products, the prices can change at any time, so be sure to purchase it now if it’s something you like.